How to add music to video ? 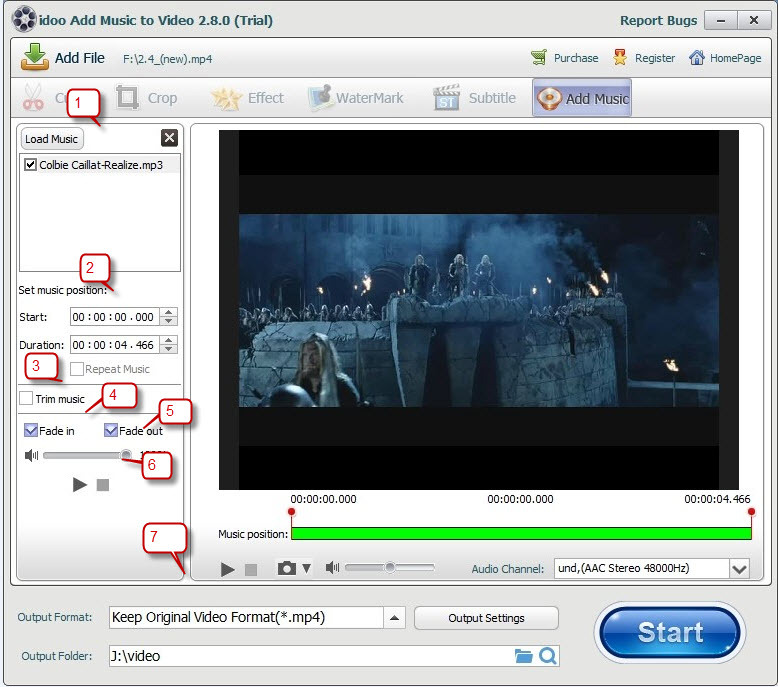 After you adding video to program to add music, you will see following program interface. 1 Load music if you want add it to video or replace the original one. 2 Set music position in video for the best part by set Start and Duration. 3 Repeat music option is also available. At last, select an output video format like iPhone, iPad, MP4, AVI, and click “Start” button, after a few munities, you can get the job done.